Angel House Ubud; Toilet paper free 👌🏽 – Angel House Ubud. Boutique 3 suite hotel or Whole Villa Rental. Authentic Bali experience. Unique Accommodation. 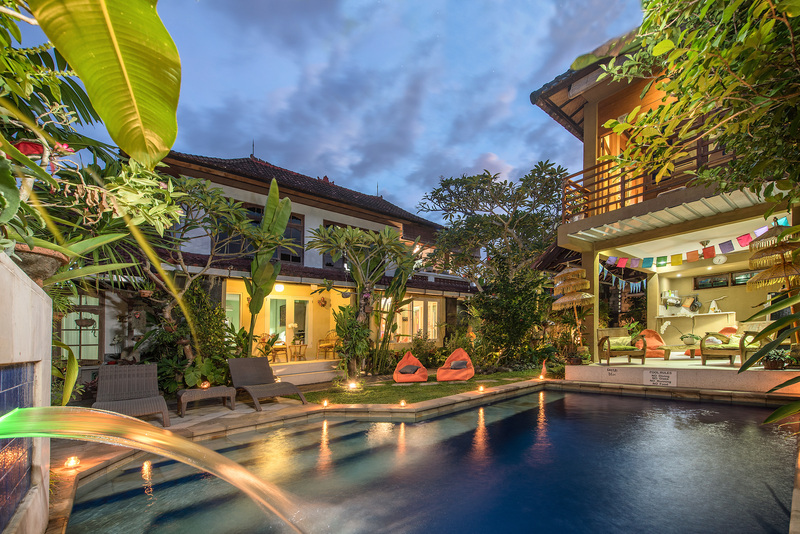 July 9, 2017 August 29, 2018 Angel House Ubud: Whole Villa or book 1 of 3 only boutique suites. Eco travels in Bali. Why we are going Toilet Paper Free. What is that hose or bucket used for in Bali toilets? Balinese and Indonesian toilets usually have a small bucket or hose next to them, but many people don’t know what they are for or how to use them. Are they for cleaning the toilet area or for personal hygiene? Many countries, including Indonesia do not use toilet paper at all, choosing to use the much cleaner method of washing ‘down there’ with water. Now do not be shocked but…we have not bought toilet paper for over 3 years now, choosing to use the Mandi hose/bidet and a small wash towel that is changed daily. Our toilet paper is mainly used to blow my nose if I don’t have a hanky nearby! Besides being more sanitary than toilet tissue, bidets—those squirty accessories so popular in Europe, Japan and elsewhere that clean your underside using a jet of water—are also much less stressful on the environment than using paper. A green technology saving trees and water. Justin Thomas, editor of the website metaefficient.com, considers bidets to be “a key green technology” because they eliminate the use of toilet paper. According to his analysis, Americans use 36.5 billion rolls of toilet paper every year, representing the pulping of 15 million trees. Thomas says: “This also involves 473,587,500,000 gallons of water to produce the paper and 253,000 tons of chlorine for bleaching.” He adds that manufacturing requires about 17.3 terawatts of electricity annually and significant amounts of energy and materials used in packaging and transportation to retail outlets. Does a ‘Mandi’ waste water? To those who say that mandi hoses or buckets waste water, advocates counter that the amount is trivial compared to how much water used to produce toilet paper in the first place. Biolife Technologies, manufacturer of the high-end line of Coco bidets, says the amount of water used by a typical bidet is about 3litres, with the average toilet using about 15+litres per flush. Lloyd Alter of the website www.treehugger.com reports that making a single roll of toilet paper requires 147 litres of water, 1.3 kilowatt/hours (KWh) of electricity and some 680 grams of wood. Bali sewerage system? There is none, so Angel House has a bio septic system. A bio-septic tank is a specialised biological treatment that degrades organic matter in waste water and contains anaerobic bacterial strains that digest carbohydrates, vegetable material, fats, oils, greases and protein. As a result, the process accelerates the breakdown of organic matter and reduces sludge build-up and because of the inherent bacteria, it helps breakdown the associated by-products of degradation, which causes the bad smells, especially in warm conditions. However, once the degradation process and especially the fat process have commenced, the fats cannot re-form and thus, makes it easier to maintain a healthy septic tank environment. The good and bad bacteria that are present within the septic tank are, as with all bacteria, competing for the food source. Because our bacteria ‘out-perform’ the bad bacteria, the bad bugs are restricted from the food source and eventually die. Toilet paper = public health nuisance! Bali does not have a city sewer or effluent treatment facility so toilet paper is also a public nuisance because it clogs pipes and adds a significant load to the septic tank. 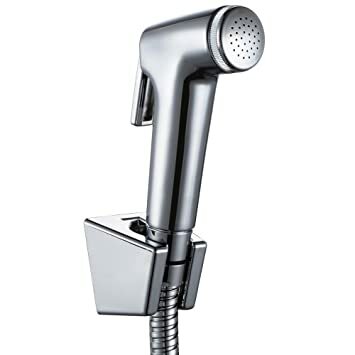 A mandi hose sprayer also provides important health benefits such as increased cleanliness and can be therapeutic on damaged skin (rashes or haemorrhoids) and reduce Urinary Tract Infections (UTI’s) in women. How do I use a mandi hose?